Sophia Castro - What's going on in Mr. Solarz' Class? Sitting on the chair beacause you werent moving and you still had to breath. Breathing throw and thin straw beacause you were paniking. Breathing throw a big straw cause effects? I wanted to stop beacause it was the first trial and i was nevous. I think that it was differnt throw a thin than a big beacause you were paniking. Why did you do it for 20 sec. I think that so you dont have to do it to long long so you just multiply it by 3. You breath faster beacause you are scard. 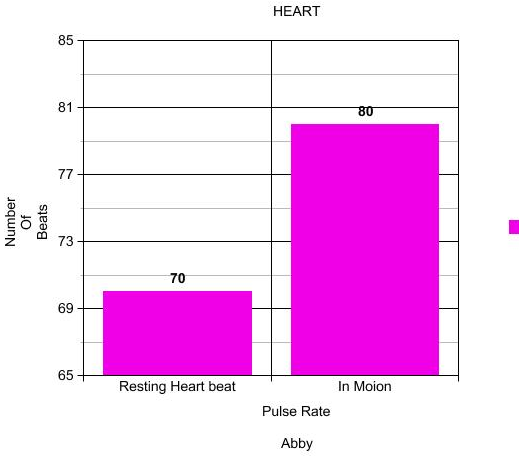 When I became more active my heart became more active beacause I was moving and my heart was pumping fast.